I have not found any recipes for dyeing wool with haskap. I have a couple of books on fibre dyeing (Adrosko and Duerr). These do not contain information on dyeing with haskap. But Duerr’s does have a recipe for dyeing with blackberries. Knowing from personal experience how blackberries can stain I decided to use this recipe as a baseline recipe. (1) Drain Mordanted Wool – Yesterday when mordanting I could not tell if the odour that hung in the air there was because the paint was burning off of the new propane heater, or was due to the mordant. 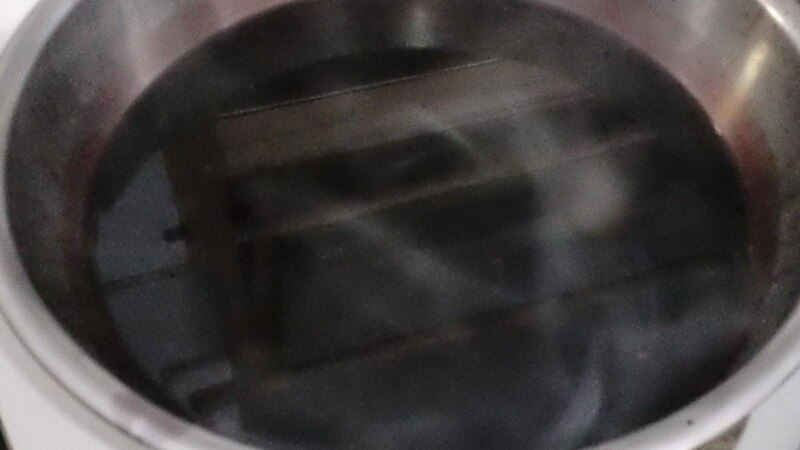 After allowing the mordanted wool to cool in the mordanting bath overnight I removed the lid and could smell the strong presence of sulphuric acid (H2(SO4)). I drained the wool. 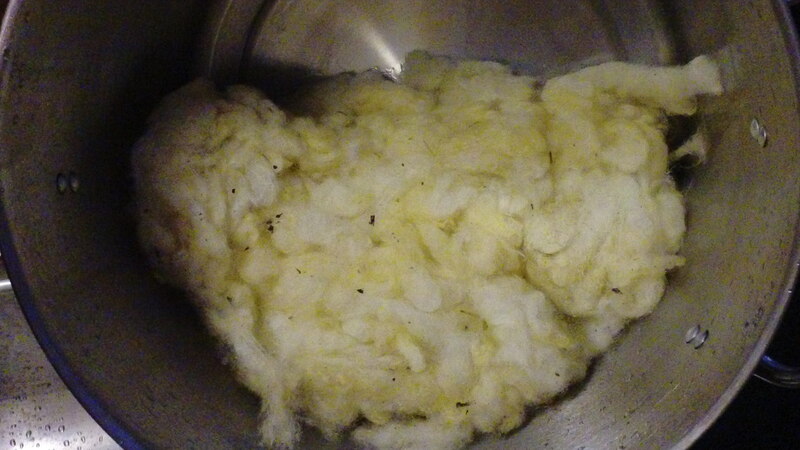 Then I rinsed the wool several times with clean, soft water. 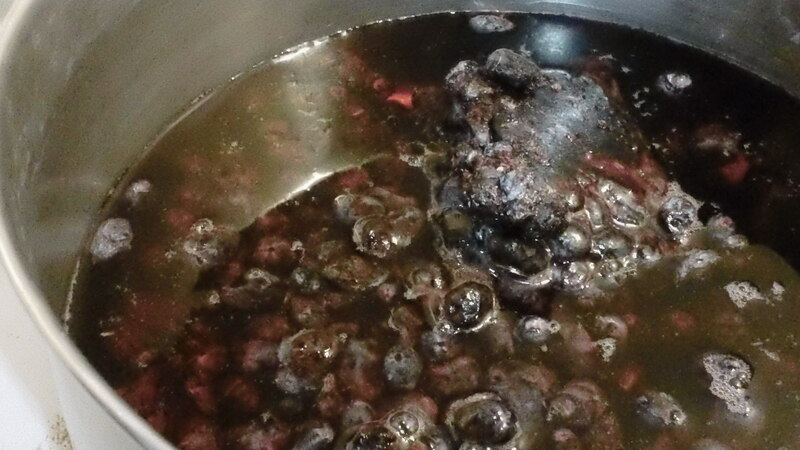 (2) Making Dye Liqueur – Weighing my fabric, I matched that with an equal weight of haskap berries. Berries were covered with water, brought to a boil, then simmered (180F) for 30 minutes. This was then sieved and set to cool. 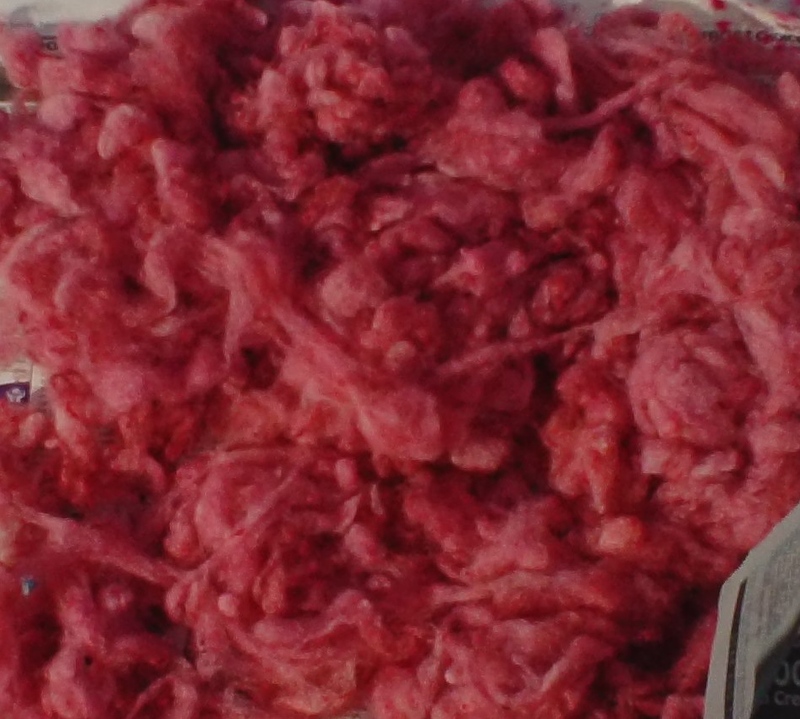 (3) Dyeing Wool – Once the haskap dyeing liqueur is cool, add premordanted fibre. Fully cover the wool with water. Bring the bath up to a simmer and hold it there for 30 minutes. Remove the dye pot from the heat. 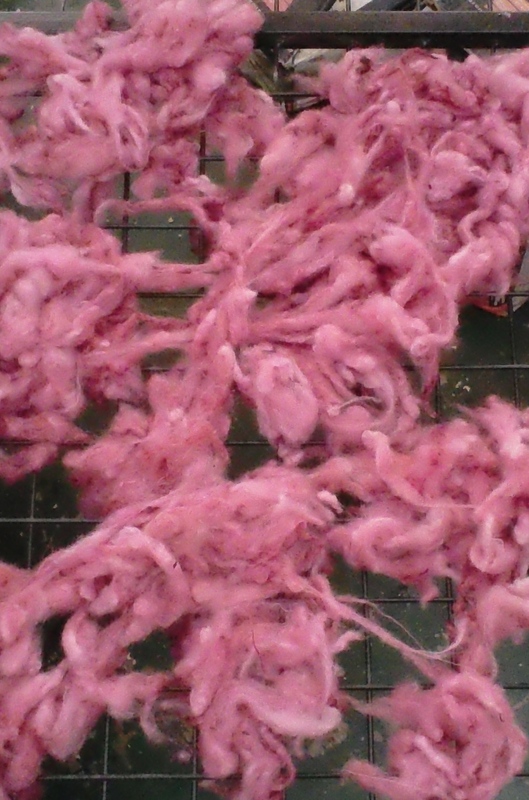 Remove the wool and set it aside to drain, wash with a pH-neutral soap, rinse thoroughly, hang to dry.